It’s The Sales Model, Stupid!! Whatever the industry cheerleaders will have you believe, there can be little doubt that the recruitment sector is facing critical problems that whilst not terminal, could be very damaging. Threats from direct sourcing, downward pressure on fees and timescales, upward pressure on candidate and regulatory volumes, increasing service demands and expectations from clients and candidates, and the advocacy that social media brings enabling poor practice and experience to be communicated widely and quickly, will inevitably create burdens that many underfunded, complacent, inflexible recruiters will struggle to see off. The debate has raged again in the blogosphere this week with a quite stark view from @theHRD on this blog. Needless to say, it attracted opinion on both sides, and the debate immediately moved to figures and semantics…always a stifler to any argument of ideas, ideals and passion. Only a few commentators picked up on the obvious fact…this piece was written by a client. The HR Director of a fairly major (so we believe) business who would almost certainly a ‘sales’ target for pretty much every 3rd party recruiter in the UK and here he was telling the industry that the party was over, the days of high volumes and big bonus cheques were probably disappearing fast…and what was the initial reaction? Can you think of any other industry in which a customer telling you that your offering is poor, outdated and no longer does what is wanted would be told that he was wrong?? I wouldn’t mind but the industry prides itself on being a sales led industry…and what is one of the first things a trainee salesman learns? Don’t say ‘yes, but’! You don’t win business from someone by disagreeing with them and telling them they’re wrong. But then optimism, whether unfounded or real, is a key driver for a sales business. So what’s the main thing wrong with recruitment industry in my opinion? It’s the transactional sales model!! It’s been unchanged for 50 years and there seems no appetite to change it now. Not when it’s made many people wealthy in the past. I can’t think of another business sector that has a standard operating model that has been unchanged for so long. Before I go on, let me try and establish a case for having such a strong opinion on this. It’s not just thrown together! I have been a billing recruiter, month after month, for over 20 years. 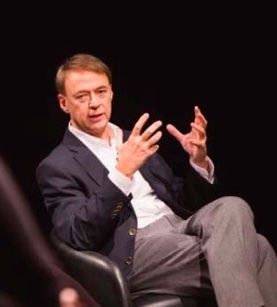 I spent a number of those years placing recruiters, during which time I must have interviewed at least 3000 experienced and trainee recruiters and sat in well over 500 client meetings where I have been briefed by directors/managers of agencies on their requirements, culture, values and goals. It makes the recruitment process all about the fee and not about the person. Yep, it sure does. Number one target for any recruiter is fees. Don’t bring in the fees; you don’t keep your job. In fact I can think of few business sectors in which an employee can have a clause in their employment contract which states that failure to meet targets for 2 consecutive months will lead to a written warning. I have seen these contracts and people sign them. Unbelievable short-termism. Similarly I cannot think of another industry in which an employee can be told that they are now on a commission only deal, and if they don’t like it they can leave. Yep, I’ve seen that too. In fact I’ve heard directors talk of having done it. In a tough market, with pressures on all sides, those fees have to be made…and when your job could be at stake, that’s quite a pressure. There’s no money in candidate experience. Damn right there’s not! (Irony alert) Well, there’s not if you’re measured on fees, jobs bought in, interviews, CVs submitted, and interviews gained with client. Why spend an hour interviewing someone you can’t place in a job this month? Why spend a few minutes ringing back candidates who have applied but aren’t relevant? Get on the phone…find a new vacancy or find a candidate you can place. This isn’t a guess on my part…it’s something I have been told many times by recruiters. I blogged about this last year…inspired mainly by a comment from a recruiter in another business who told a candidate chasing feedback “To be fair if we spent all day phoning people who were ‘no’, which we’d like to do because it’s the ‘experience’ as much as anything that counts, we simply would go bust”. So there you have it from the horse’s mouth. No money in feedback…get back on that phone and cold call. If you spend time talking to unsuccessful candidates you’ll go out of business. Inappropriate and poorly matched CVs sent to clients. Another metric favoured by agencies is number of send outs. It also pays to send as many CVs as possible, in case a competitor sends the candidate over. More CVs may also get you more chance of interviews…it’s all a numbers game. And it’s sticking to the numbers that will keep you in your job. None of this should come as a surprise to regular readers. My first ever blog was about how I believed that tomorrow’s recruiter should be incentivised on feedback not fees. I’ve recently blogged on how business communication is changing and how business to business sales is changing. This isn’t an anti recruitment industry rant. Anyone who was at the last Recruiters Networking evening would have heard me debate passionately in support of the industry. It’s the way we operate that needs to change. The transactional sales model rewards behaviours that have gradually dragged us in to disrepute…which is probably the biggest inconvenient truth of all. I am also lucky enough to work within a business that rewards on client and candidate feedback and is prepared to invest in areas that do not lead to immediate fees, but provide a service and experience to the candidates and clients who use us. At least the recruitment industry apologists all seem to agree that behaviours have to change…but my question would be how…without changing the operating model? You can’t change the way people behave without changing the way they are rewarded and motivated, and they way that their performance is measured. These people will be looking after your careers and recruitment processes. Reading that lot, I can’t see behaviours changing anytime soon…can you? The End of the Phone? ← Connecting HR : The Revolution Starts Now! Great post Merv. It was me who challenged Bill on the numbers and in that case they are important to the debate not just semantics. I mentioned them because I’m sick and tired of the industry and its pundits trotting out these misleading numbers in order to substantiate the total crap that is being talked. Bill and others talk of ‘value added’ services but as I’ve said before – this is lipstick on a pig. ‘Value based fees?’ ‘fees based on performance of candidate?’ Wake up people – changing the fee wont make a difference – the customer DOESN’T WANT TO PAY THE FEE! And what of the other services Bill and others talk about? The ‘sales driven, target oriented, money focussed individual’ you found so sought after in the adverts will not make an instant transformation into an employer branding, employee engagement, talent management specialist or career coach. Its laughable. There is enough material there to start a national chain of comedy clubs. And anyway, aside from the capability issue, those sectors are already crowded with people who actually have credibility and experience of doing these things, as @TheHRD pointed out in the comment stream. History is littered with industries that were once great, and are now no more than cottage industries, simply because the world, technology, processes and people change. Many of the companies in those industries failed to see the change coming and, worse, went in to denial when they saw the facts. Take the film processing industry – “Digital? It will never fly!” And print – “Websites/the internet? No one will ever want to advertise anywhere but in a magazine!” The Swiss Watch Industry – “Digital watches? Novelty, no one will use them as a timepiece!” (Ironically it was the Swiss who first invented the digital watch, not the Japanese. But the Japanese saw the potential while the Swiss mothballed the idea. Doh! I could go on. Recruitment is heading to be a cottage industry. Yes, some will prevail, and there are some good guys out there, there is no denying that. But the core recruitment activity will change and therefore the need, at the professional level at least, will be serviced by other models, not the sales model you mention here. Not even a recruitment model as we know it. It has to change at this fundamental level but as is evidenced by Bill post and others like the recent panel at the Recruitment Society evening event’ the vast majority of the industry just doesn’t get it. This is what the customer is saying and it seems, no one is listening. But then again, while they are ‘making a lot of money’ they wont. Thanks for the comment Gareth. It was indeed yourself that had made those points, apologies for not name-checking. Part of the problem seems to be an unwillingness to accept that things have to change…it is a relatively young industry and we have a number of older hands who cling to the notion that to talk of change is to somehow disrespect the industry. Meanwhile we turn a blind eye to the poor practices that are disenfranchising our clients and candidates and put our faith in some form of natural selection with the strongest evolving their business models. My point, which I know you well understand, is that the sales model, with it’s focus on rewarding the deal and nothing else, is too inflexible to promote the behaviours that will drive the recruitment model of the future. I’ll get into this one with you properly over a beer sometime – but for now, here’s a thought. The client never wanted to pay the bill. The client rarely shows loyalty to an agent, even one who goes above and beyond (there’s always someone cheaper). The client is often not great at identifying what they want in the first place, or indeed providing feedback when requirements become clearly. The client is happy to pay 30%, no 25%, make that 12%, now do it for 6% or we’ll use someone else. Sweeping generalisations, I acknowledge, but reasons like these do help explain why agencies are so aggressive on the sale side – and as a result, end up employing people who struggle to see, let alone recognise, change. The recruitment industry as a whole has some huge challenges ahead – but let’s not ignore the road it’s come down, for that too tells a story. My place in all this? As a technology partner, we work with end clients, agencies, RPO organisations… pretty much all sides. I’ve also worked in each one of those environments personally, so I’m pretty comfortable saying they’ve all contributed in their own way to the gradual evolution of a model which currently, serves very few adequately. Nice post Mervyn. That sums things up beautifully. The ideal scenario for me would be a world where agencies had experienced staff, paid on higher base salary with performance bonuses based on a combination of placements, client feedback and candidate feedback. While there obviously needs to be an entry route into the profession, I’m not sure that aggressive, money-hungry graduates (who know nothing about how business works) are the right route to long term success. Thanks Katie, I am pleased that as a UK Recruitment Manager for a global FMCG brand you have commented. You are a potential buyer of our services and in my opinion that makes your views very important. I have blogged before about the importance of checking recruitment partners out before they are engaged and I think that looking at the way they are trained, motivated and rewarded should be key. Unfortunately, I have yet to see an RFI that asks for criteria such as that, but hopefully that will change. A few hours spent on the ‘sales’ floor of a potential recruitment partner could be quite enlightening! Interesting post Mervyn, and a more detailed analysis of the issues facing the recruitment industry at the moment. I agree with Katie that until reward is tied to quality, service and value then very little will change and not wishing to repeat any of the comment I made to @TheHRD’s original post I do disagreee with James in that it’s not that the client doesn’t want to pay, doesn’t know what they want or doesn’t care where they get it from. Until fairly recently I ran an internal recruitment team and had feedback from my suppliers (with whom I endeavoured to build partnership relationships with) that I was a challenging client but with challenge came fairness and a reward for results. I viewed my PSL as an outsourced part of my recruitment function and those that invested the time to understand our business, our values, our roles and genuinely found great people, they benefited from the relationship. Contrary to recieved procurement wisdom I renegotiated my PSL up from where it had been set because I didn’t mind paying for the value add – I saved money by increasing our direct sourced percentage not by screwing people’s margin. Briefly, on the metric ‘CVs sent out’ for me it was never about that (even when I was a recruitment consultant) it was always about the ratio CVs sent:Interviews:Offers:Hires and in an ideal world it would be 1:1:1:1 but in businesses where change is the only constant it may be worth recruiters thinking about “the client” and realise that the person managing the internal process is usually just part of a supply chain and managing an internal customer relationship which can involve goal posts moving, organizational politics and an economy that means headcounts change….often. The rhetoric beloved by the CIPD is “HR as a business partner” (and let’s not get started on the CIPD) but until we can all start working towards understanding what “Recruiter as a business partner” looks like and stop discussing who broke the current model I don’t think this subject will move on. Gareth – to your cottage industry point… didn’t the recruitment industry start on the back of someone being rewarded for recommending someone they knew for a job because the person was great for it… I think it’s worth bearing this origin in mind in the midst of the myriad of business models – the ‘recruiter’ and the ‘candidate’ KNEW each other and the recommendation was based on the relationship. 2 blog comments this week, I must have a glass of something soothing and stop ranting about the recruitment industry…. Thanks Rob, glad I encouraged a comment out of you! I think that the ‘holy grail’ should be to find out what the ‘recruiter as business partner’ model looks like and to ensure that all structures, processes, rewards and behavioural measurements combine to encourage this. Part of the problem that we have, I believe, is that most 3rd party recruiters have a fixed idea of what this relationship should look like and will continue to try and service based on this idea. We have been through a tough couple of years and I fear that the driver at present is to get back to where we were during the growth of the mid-noughties without using a period os slow growth to create a new operating model. By recruiting purely sales people, particularly those ‘looking for target driven environments’ or ‘looking to make a lot of money’ I fear we will only recreate the poor practices of the past and in turn create a greater divide between what the client expects and needs, and what the recruiter offers. Hi – firstly great to find you on Twitter and secondly what a great piece. I am with you on almost everything you said concerning the industry. I find it interesting how the industry has such a resistance to change and development. Our most high profile Recruitment based entrepreneur is Sir James Caan, he of Alex Mann fame. So what was it about Alex Mann that made it so different? In a word…nothing. They were, in the main jumped up sales guys with headsets, cheap suits (sorry – expensive but VERY BAD suits), ill fitting loafers and a company 3 series. Alexander Mann made every assumption about the recruitment company a reality. I watched his arrival onto the Private Equity scene with high interest, it was obvious he’d invest in recruitment, but what was he going to find. The LastMinute for the recruitment industry, an advancement so brilliant that it could be recruitment’s answer to Net-A-Porter? So, what did he do? He bough loads of bog standard agencies, increased their ad spend by 400%, put in some loud mouthed sales managers, decorated the offices and walaaa – a fully fledged top marque recruitment firm. As far as I am concerned he found nothing different. I think, I have the answer – there is a big difference between a good recruiter and a good recruitment firm. Good recruiters care, they should work with pride, ownership and belief. Good recruitment companies make shed loads of cash. The two simply do not fit together any more. More money = poor service, but what we haven’t done is do it the airline way. Why has no one come up with the idea of EasyJet/RyanAir’s answer to the airline industry? We know its junk, you pay for junk, you get junk service, no seat, no water, no toilet – but we don’t care, because you can’t get to Rome without them and because of course it’s free. EasyJet don’t talk of service, repeat customers, testimonials, quotes from industry leaders. They talk in the only metric they need worry about – NUMBERS. We now have the arrival of the new breed of CV sifters ‘your Web Recruits’ they are cheap and offer no actual service (apart from reading your CVs). They don’t interview, they don’t build rapport, they don’t understand what’s needed they just send client A’s employees to client B’s and back and forth. CV matching by people who earn £12k a year – where is the skill or value in that? But, still they talk about service and quality. How does £395 get you service that’s like paying 50p to fly to Paris and expect Champagne on arrival. Maybe recruitment firms need to drop their delusions of grandeur and start offereing what clients want. They want good people for their jobs so they can tick it off their list and move onto more important things, and they want to spend the least amount of money possible on the whole process. Thanks for reading and commenting James, you have made some very relevant points, and it is clearly something that you feel passionate about. Alas most recruiters start their own businesses with the aim of making money, and as such will tend to utilise the tried and trusted methods that they know. In my 10+ years in R2R, pretty much all start ups either wanted big billers with transferable client relationships, or hungry trainees who needed to earn commission. The other sad fact was that there seemed no place for someone who had sector knowledge and contacts, but not previous sales experience. I sat in hundreds of client meetings where the answer to ‘why are you different’ was a) we don’t micro manage and b) we pay better commission. Other than that there was little appetite to develop or evolve the model. As you have inferred, it will almost certainly need some industry leaders to start leading the way. Transactional sales businesses rarely evolve of their own volition. Gareth, from the first comment I was clear on the difference between margin and revenue, discounting wages and costs. I’m not sure if you read the comment or just reacted to the headline. 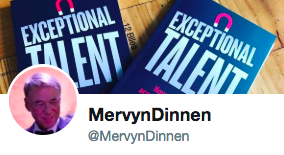 Mervyn, In terms of TheHRD, I think you are wrong to think everyone should just agree with him because he is a client. he quite clearly blogs to provoke comment and discussion. Only through discussion, rather than blind agreement, will real solutions be reached. You always talk metrics in terms of volume, and there are plenty of recruitment firms that apply only a volume measure. There is an equal number that also apply a quality measure by measuring not just volume but also efficency, which is the quality measure. I’m surprised you have never worked for a firm that measures and manages this in all your years in recruitment. I would agree, there is an issue with those firms that apply only volume targets and big stick managment, but there are plenty of firms that don’t. I see lots of evolution in recruiting and in service offerings. Recruiting only really became transactional 15 or so years ago when things went on-line, and clients drove and rewarded speed over quality. I think a lot of that is changing with many of the recruiters I talk to and work with. Stopgap are just one example, not the only example. A question for you. If you didn’t bill for 12 months, do you think you would still have a job? I can’t answer that, but the underlying point I was hearing at #connectingHR was that people should be measured on outputs rather than inputs. Ultimately, isn’t that people placed in recruiting? What i think you believe in is giving the people to achieve that how they see fit, without examining every detail. Thats very valid, and leads to a grown up enviroment, but there is still a need to achieve results, however they are measured. In recruiting, isn’t that measure placing people and ultimately fees? Thanks Bill. I shan’t comment on the discussions between you and Gareth as I’m sure that you can deal with that through your own blogs. 1) I speak to clients every day. They all say pretty much what theHRD says. Two in-house recruitment managers have responded in this comment thread and neither are exactly banging the drum for the transactional sales model either. I’m not sure that disagreeing with someone constitutes a discussion, think that there needs to be something a little more engaging. Just my opinion though. 2) Intrigued about the ‘efficiency’ measure, maybe you could explain. Likewise the ‘lots of evolution in recruiting and service offerings’. 3) I did stress that my opinions were formed mainly from interviewing 3,000+ recruiters and sitting in over 500 client meetings with directors/owners of recruitment companies. None of those ever talked much about measuring or targeting anything other than fees, activity volumes and conversion ratios. Maybe you can enlighten me. 4) The industry has been transactional since before you and I were ever in it. All that on-line has done is exacerbate poor practice in my opinion. If recruiters had ignored the quick fix of job boards and CV databases, they are also available to the clients after all, and concentrated on building their candidate networks, that aren’t available to clients, then the questions of value over transactional fee, speed over service, would rarely arise. 5) The ‘if you don’t bill for 12 months’ question is the same one you raised a year ago when I posted my first blog, and the answer is the same. If I’m providing my clients and candidates with the service that they want, and value, then I’ll clearly be making placements. I can’t believe that you would think that incetivisation by feedback means keeping consultants just because they are nice guys. The people who provide feedback on me have to give opinion on a number of deliverables and value adds. Understanding their needs, and satisfying them, are but two. You really do need a culture of trust rather than measurement to make it work. Having worked in that model I passionately believe that it is the way forward. 6) My blog is about the transactional sales model and how, in my very humble opinion, it does not and will not allow the promotion of a different, relationship driven approach…particularly of the type that clients and commentators, yourself included, write about. As I said before, my opinion is based on speaking to clients and candidates every day for over 20 years, and from 10 years successfully placing recruiters. I was careful to point out that it was not an attack on the recruitment industry, just a belief that it needs to change the way it operates. It is my personal opinion that an industry won’t evolve if all the people working within it do is to blindly defend it and attempt to discredit people who think that it is time evolve and change. I’m sure that you think that way too. Very interesting post and comments. I’ve recently been advising TalentPuzzle (a marketplace for employers and recruitment agencies), and from my perspective the key issue for agencies is the sales model. There are two main issues here: the first is that the ability to win new clients is not necessarily related to the ability to match candidates to roles. If you do not win new business you don’t have a business. If you aren’t good at matching roles, you can probably survive by playing the numbers. The second is that if you are rewarded for placing candidates regardless of the quality of those candidates you are not rewarded for doing a good job. 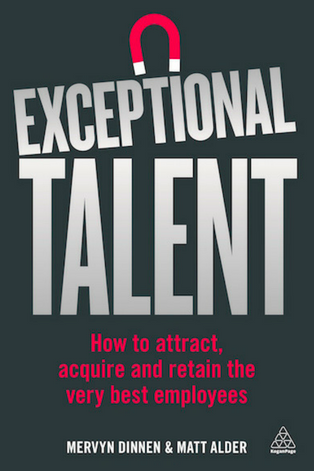 The industry rewards people with good sales skills at the expense of those with good recruitment skills. 1. To manage peaks and troughs in hiring volumes. If have a recruitment team that is the right size to handle the busy times, then logically they will have to be underutilised in the slow times. Using agencies can control your fixed costs. For smaller companies it is possible that a lot of their recruitment will fall into these categories. Therefore, I think there will always be demand for agencies, but at nothing like historical volumes. However, the rate at which things will change will be glacial. Just because there are better ways of doing something, doesn’t mean people do it immediately. Many people will still be using VCRs for example, and look at how long it has taken for the benefits we were promised the internet would bring to actually come to pass. I believe that TalentPuzzle will be part of that evolution, as we solve the problem of sales people being rewarded over good recruiters. By providing employers with effectiveness stats on all agencies (e.g. how many CVs sent to get an interview and/or a placement) and with employers rating the agencies they use, those agencies that do deliver a good service will be rewarded. Also, by bringing the roles to the agencies we remove the need for expensive sales people, thereby cutting costs and enabling agencies to make the same margins from lower fees. Thanks for taking the time to comment Ben. Interesting thoughts, though it does read a bit like a sales pitch in the end! I have to say that for me it is about the value in finding the right person, not about the cost. Not sure about how you enable clients and recruiters to build an effective relationship to enable a real value add service…maybe we can save that for another post…even a beer sometime. Beer sounds good – are you going to Manchester for CIPD? Not a long response just to say that you’ve written a good post. I have written similar and even presented similar ideas to clients and agree with the transactional death of recruitment. Like you though I don’t think it’s all bad news, a robust professional industry driven by quality not fees… doesn’t sound too bad does it. Having worked on both sides of the fence I really understand why as a client the last thing I want is just more of the same, something that many agencies still fail to grasp even now. Thanks Martin, especially from the viewpoint of having worked on both sides of the fence. Look forward to speaking some more. wasn’t it you and gareth that publicly debated with TheHRD at the UK Recruiter event? Surely as a potential client you would just agree with him based on your argument. Conversion ratios are the measure of efficency. it is a great way to identify where you have wholes in the process, and where you have training needs. The issue, in my opinion, is how the figures are used, not the collection or analysis of figures. Is your issue that performance management is usually about discipline rather than development? I don’t think that the process is broken, rather the delivery of it. Recruiting pre-internet was a lot more relational because it was largely local and always involved interviews, face to face meetings and taking job specs. Clients were built over time, with a lot more emphasis on repeat business rather than one off hits. you kept a much smaller list of clients on cards on the desk. Equally, your candidates would rarely go beyond 20 – 30 active ones, rather than the 1000’s in the database. You knew everyone, and everyone knew you. The internet changed that, but I’m sure you can remember those days. The hiring companies largely created the first past the post culture, recognising the first CV recieved rather than if the candidate had been spoken to or met. this had a massive impact on taking the quality out of the business. Essentially, you are saying that you are measured by placements because you have the assumption that if you do all the other good things, then you must be placing. All I asked is what would happen if you didn’t. I agree that people should not be targeted or measured on revenue alone, but I really think that it should, and is ONE of the considerations. Would you be fired if you didn’t place for 12 months or not? I see plenty of evolution from RPO, flat fee recruiting, web based recruiting, research houses, marketing companies involved much more directly in recruiting through social, managed services, charge for time over result or volume, all kinds of new models. these differ in terms of pricing and delivery. I think it is wrong to say that recruitment businesses are not evolving. Many are already. Not everyone that disagrees with you is trying to discredit you. Isn’t it suposed to be about the conversation. If we all agreed, it would be very boring. I did debate with theHRD as I mentioned in the blog. I debated because I passionately believe in the recruiting industry and of the need for companies to have us as part of their talent acquisition strategy because we are able to provide something that they can’t through direct sourcing. I believe that strongly, as much as I also believe that the sales model does not encourage the right behaviours. Conversion ratios as in calls/vacancies, CVs/interviews, interviews/placements? These are internal metrics to do with profitability and ‘fixing’ them or not does not necessarily give the client or candidate a better service or experience IMHO. Recruiting was always transactional unless you were in a candidate driven, niche sector with a finite number of potential regular clients. In the mid 80s clients still went on first phone call or first fax irrespective of whether the recruiter had interviewed the candidate or not. I was involved in many situations (more than recently) where multiple submissions had been sparked by the first agency neither interviewing nor briefing the candidate on the vacancy. You will have to take my word for it that incentivisation and management by feedback & experience does produce fees. There is no ‘firing’ where I work, and plenty of developmental and collaborative triggers in place to ensure that fees are made. I think that you may be using the language and output from a completely different business model to judge. Research houses have been around for many years and the only surprise is that more companies have not used therm. The other ‘evolutions’ that you mention are, in my opinion, primarily fee based services working on the assumption that cost drives the recruiting process. I will do a proper blog on that another time. My belief is that the process should be about finding the best person not the cheapest route to market. Couldn’t agree with you more Bill about the conversation…but without personal/face to face interaction disagreement and conversation become different things. I genuinely value the time you have taken to read and comment, and hope you continue to do so…however I suspect we will probably get further over a beer! !